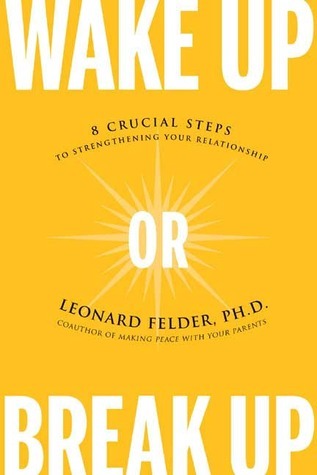 Wake Up or Break Up by Leonard Felder, Ph.D. was published in 2005 by Rodale, Inc., Emmaus, PA 18098. It’s available ($24.95US / $35.95CAN) wherever books are sold or directly from the publisher by calling (800) 848-4735. EXCERPT FROM WAKE UP OR BREAK UP BY LEONARD FELDER, Ph.D.
What would it be like if you and your partner became excellent listeners on a daily basis? For example, think back through the months or years you have known your partner and recall the times when the two of you talked like best friends who truly cared about each other. What did it feel like to have a soul mate who was 100 percent there for you? Wouldn’t it be great to have that sense of deep connection again in your conversations? You may have had moments in your relationship when you both made sure to set aside time each day or each week to catch up on what was happening with each other. Do you remember what that was like, and do you know why you’ve stopped making your moments together a high priority? You may have had moments when you felt completely understood and appreciated by each other, when the two of you felt like passionate co-conspirators facing the obstacles and challenges of life together. Did you fall in love because you could appreciate one another’s visions and vulnerabilities better than anyone else? I bring up these questions to help you and your partner remember how amazing it feels when you are absolutely in the current moment connecting with your loved one. Yet to be fully present with the person you love deeply is not easy to accomplish. Not only do we have busy lives and lots to deal with, but we find it risky to open up and be fully known by another human being. On a stressful day when your brain and nervous system get battered and fried, how do you show up and be there 100 percent in the current moment with a partner who might also be exhausted or agitated? No one sets out to be a lousy listener. I doubt that you’ve ever heard at a wedding or commitment ceremony the partners pro- claim in their vows, “I promise to be a mediocre listener to you. I vow to show condescending signs of impatience or say things like ‘So what’s your point already?’ when I come home from work and you’re trying to describe the ups and downs of your day.” Yet even if you’re highly respected as a good listener in your job, you might still need to overcome the tendency to wear your “I’ve got no listening left” face when you’re at home with your long-term partner or your kids. There are three things you can do to master the art of heartfelt listening, even on a stressful day: the Daily Decompression Exercise, the Twenty-Minute Daily Check-In, and Giving Each Other Three Appreciations. It’s going to take more than good intentions if you want to be fully present for each other after a stressful day. That’s why I recommend a remarkable tool called the Daily Decompression Exercise that I’ve seen work for hundreds of couples. Instead of going on automatic pilot when you’re at home and slipping into impatience or grumpiness, you can use this exercise to manually adjust your focus and breathing at the moment your beloved partner needs you to be fully present. Instead of getting distracted, you can become the exquisite listener that a great partnership requires. Whatever approach you utilize, make sure you take a moment to feel your body and your mind shifting out of the “get to the point already” tone that might be normal at work but disastrous at home. Breathe deeply as you envision yourself turning back into a loving partner-and a caring and patient parent if you have kids at home. As you walk up to your front door, stop for a moment to make sure you’re ready to approach your loved ones with your most compassionate self. The moment before you say “Hello” or “How are you?” to your loved ones, take a deep breath and remind yourself, “The person I’m about to talk to is more important than any client, customer, boss, colleague, or phone caller I’ve spoken to today. I better show up fully available for this next conversation because nothing else is as important as these precious moments together. ” You might even want to put these few sentences on a note card that you keep in your wallet in case you need to read them to yourself after an especially stressful day. 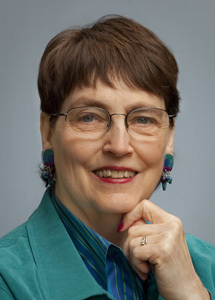 Leonard Felder, Ph.D. is a licensed psychologist in private practice in West Los Angeles. As a popular lecturer and recognized expert on how to improve personal relationships, his books have sold more than 1 million copies and he has appeared on more than 200 television and radio programs, including Oprah, NBC’s The Today Show, CBS’s The Early Show, CNN, A.M. Canada, National Public Radio, and ABC Talkradio. He and his wife, Linda, have been together since 1980, and they are the parents of a 12-year-old son, Steven.